President Donald Trump is expected to deliver a speech this week outlining policies that could help contain drug prices—a divisive issue that the administration has long discussed but has yet to tackle head on. While drug price growth has ebbed in recent months, the problem has led providers to battle unexpected price hikes for decades-old drugs and has cost consumers dearly at the pharmacy counter and in the form of rising insurance premiums. So what could rein in rising drug prices? Modern Healthcare sought to find out. The Creating and Restoring Equal Access to Equivalent Samples Act would prevent actions such as barring access to branded samples that generic companies need to prove bioequivalence and ultimately earn the Food and Drug Administration's approval. The powerful Pharmaceutical Research and Manufacturers of America, which represents brand-name drug producers, argues that it holds product samples close to its chest to protect patient safety. The FDA has been speedily reviewing new drug applications if there are few approved generics, publishing an off-patent list of branded drugs without an approved generic, and improving communication between manufacturers and the agency. That has led to a record number of approvals—more than 1,000 generic drugs last year—and a tightening of drug costs. "Evergreening" is when branded manufacturers develop a slightly different version of their drug to earn a new drug approval, which extends the patent without leaving a window to obtain samples for bioequivalence testing. Another strategy involves citizen petitions, which are intended to bring concerns to the FDA, but are often filed by brand-name drug manufacturers to delay the approval of generics. It takes months for the FDA to respond to the inquiries, which are being sent more frequently. Certain branded-drug developers manipulate the Orphan Drug Act by gaining approval for their drugs to treat a rare disease, which gives them exclusivity. Allergan, for instance, formed a patent deal with the St. Regis Mohawk Tribe to protect its blockbuster drug Restasis. The courts shot that idea down. 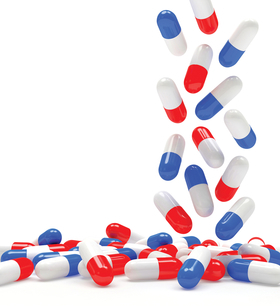 The Preserving Access to Cost Effective Drugs Act aims to end that practice. In pay-for-delay schemes, some branded manufacturers pay generic companies to not market authorized generic versions of their drugs. The U.S. and New Zealand are the only countries that permit direct-to-consumer advertising, which is linked to unnecessary prescriptions and higher healthcare spending. Meanwhile, drugmakers spent more than $24 billion on marketing directly to physicians in 2012. Policy experts argue that insurers and drug companies should disclose the average net price paid for drugs, and that pharmacy benefit managers should reveal how much of the rebates they pocket versus how much is passed onto payers and consumers. Lawmakers want drugmakers to notify authorities when they are planning drug price hikes, and explain their reasoning. This is one of the most controversial ideas. Some supporters argue that allowing the government to consolidate its bargaining power would swiftly bring down drug prices. Yet, pharmaceutical companies and industry groups have dismissed the notion, claiming that a free-market system without governmental intervention would work better. They have also shunned drug importation, citing potential safety concerns without the FDA's oversight. This has left much proposed federal policy reform at a standstill.